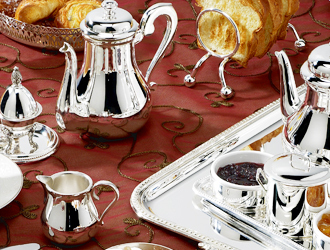 French SILVER is the portal that will link you to the website corresponding to your expectations! 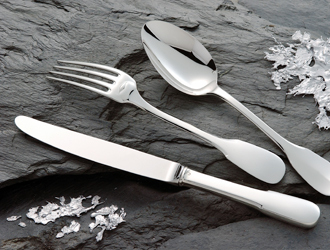 "Haute couture" of cutlery, this website is reserved to looking for flatware blanks, customized designs or finished flatware. Straight from the factory, our Eshop offers an unmatched choice of cutlery models from our brands: Deetjen - Chambly and Collection "factory outlet". 1. A complete set of pieces faithful to the original design. 2. Skilled artisans to blend, balance and elegance in each piece..
3. Old world know how to accurately reproduce the most intricate designs. 4. Silversmith hallmark on each piece. • Silver plate Hallmarks #1 or #2 guarantee the thickness of the silver plating under supervision of the French government..
• 18/10 stainless steel alloy (18 % chrome - 10 % nickel ) is rust free and non magnetic. 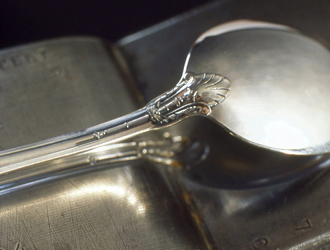 Production of a piece of flatware requires skilled artisans and an average of 30 steps. • degreasing, silver plating and quality control.